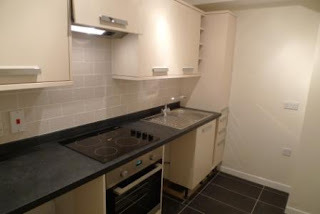 Spacious 2 DOUBLE BEDROOM first floor flat with it's OWN PRIVATE ENTRANCE. Centrally located with easy access to the Town Centre and the Wessex Way. ATTRACTIVE KITCHEN/DINER with wood effect units and bar style handles. Well proportioned lounge with FEATURE BAY WINDOW. OFF ROAD PARKING.